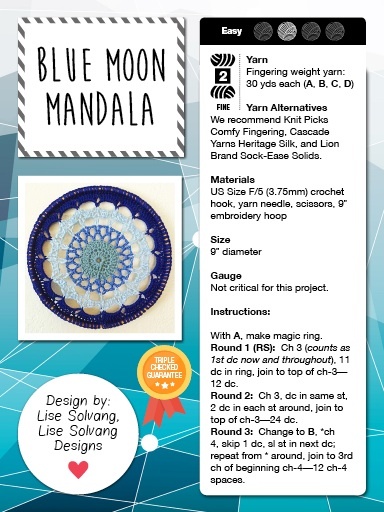 Happy to be a part of Happily Hooked Magazine again this month! 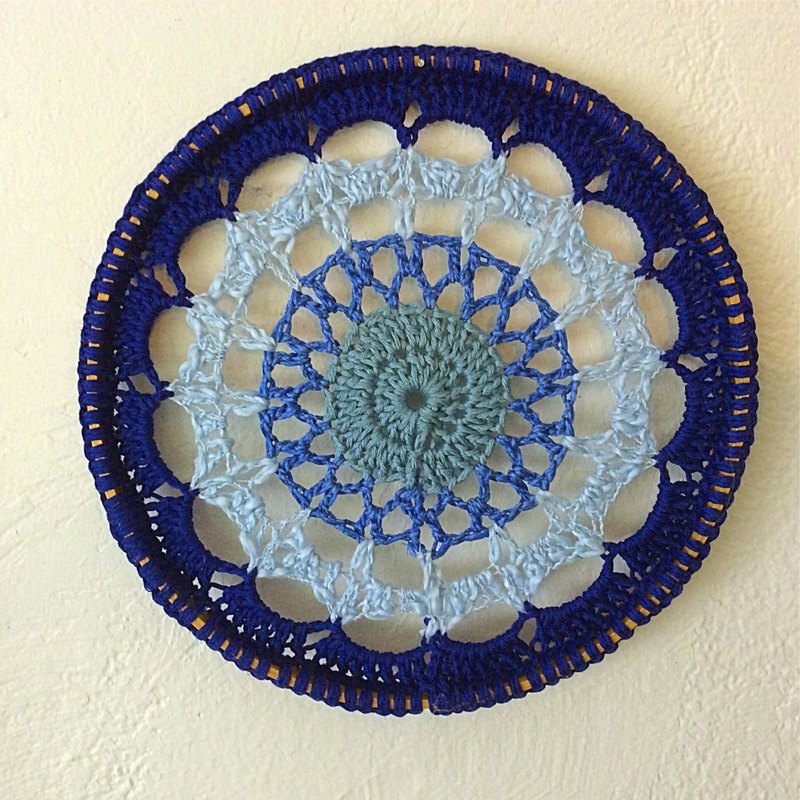 Amazing how popular Crocheted Mandalas are becoming! You can hang them anywhere to add color, beauty and fun to your life. I love them outside hanging in trees, with the light shining through them……it’s almost magical! Check the magazine out HERE ……they are full of lots and lots of great patterns and ideas……and the people behind the magazine are simply wonderful! 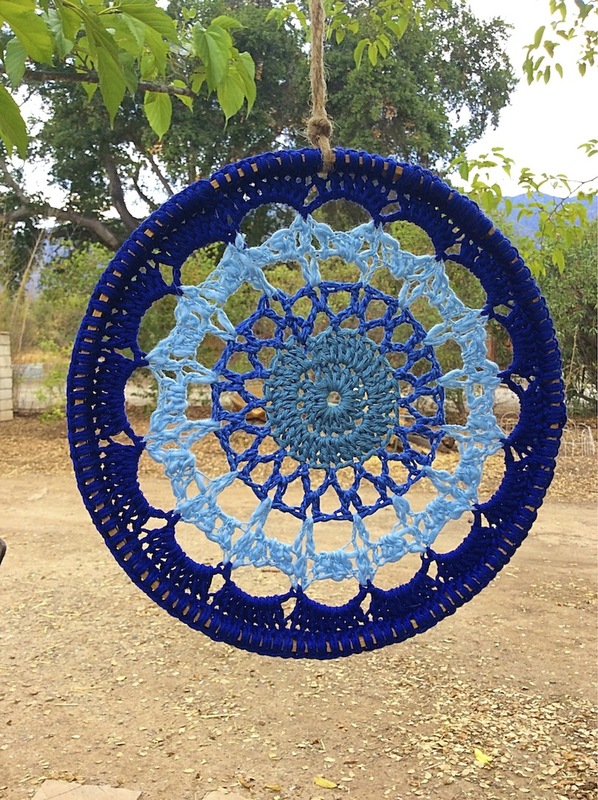 This entry was posted in Designs and Patterns, In the News and tagged blue moon, crochet, happily hooked magazine, mandala. Bookmark the permalink.